A Short Man Who Walked Tall: The Life and Times of Frederick Jacob Titus Chiluba (1943—2011) | Elias Munshya, LL.M, MBA, M.DIV. Biographers differ about where and when Frederick Jacob Titus Chiluba was born. Even his names have raised controversy. Chiluba’s background had been such a thorny issue, that in the 1996 case of Lewanika and others v. Frederick Chiluba the Supreme Court of Zambia was invited to make a ruling on who was Chiluba’s father and where Chiluba himself was born. Before the court were three possible fathers: a Mr. Chabala Kafupi (a Zambian who claimed Congolese descent), a Mr Zahare (a Mozambican), or a Mr. Chiluba Nkonde (from Kawambwa) whom President Frederick Chiluba himself statutorily declared to have been his father. As for his place of birth, the court heard several conflicting accounts. According to Dr. John Mwanakatwe, Chiluba was born at Musangu Village in Luapula Province. Another account declared that he was born at Wusakili in Kitwe. Some petitioners in the case of Lewanika and Others even claimed that Frederick Chiluba may have been born at Chibambo CMML Mission Hospital in what was then the Belgian Congo. When called to testify about Chiluba’s background in the same court case, William Takere Banda told the court that Frederick Chiluba who was then known as simply Titus Mpundu lived in Mufulira and spoke a Congolese dialect of Lingala. The court dismissed William Banda’s testimony and ruled in this case that regardless of who was Chiluba’s father, or where he was born, Frederick Jacob Titus Chiluba was still a legitimate Head of State and was a citizen of the Republic of Zambia. This background is necessary in this article to point out how, a man without a clear family history rose up to become President of the Republic of Zambia. And in mourning him, we should all remember, that there are some qualities that made him stand out and made him gain the confidence of the Zambian people to elect him to the presidency in 1991. If there is anything that the life of Frederick Chiluba should teach us is the fact that regardless of our background and our limitations, destiny does not delude those who work hard. The story of FJT Chiluba is a story of how a man in our time lived to overcome his limitations and soared to lead the nation from dictatorship to a democracy. Clearly, as shown above, Chiluba had no rich family history. In death, his father still remains as mysterious as when he was alive. His place of birth is still subject to speculation. The fact that as a young boy he was expelled from a Kawambwa School also shows the kind of limitations that the young Chiluba faced growing up. In a society that looks down upon short-statured people, it is clear that his height too could have one of those drawbacks. But the story of Chiluba is a story of inspiration in spite of limitations. Here a man without High School education worked hard as a bus conductor to read a few A Level courses which he later admitted to having flanked. Additionally, not to be outdone by his many challenges, Chiluba went as far as Tanzania looking for opportunities. When he came back to Zambia in his twenties, he translated the knowledge he acquired while working in the Tanzanian Sisal industry into good use. He used his courageousness and his fearlessness to become a defender of his fellow workers. Through the trade union, a diminutive Chiluba had found an opportunity to talk and walk the tallest. When Kenneth Kaunda legislated that all trade unions would be amalgamated and controlled from one umbrella body, little did he know that one of the leaders that would use this umbrella body to oust him was Frederick Chiluba. Indeed Chiluba used and enjoyed the visibility that his stature gave him. And as an outspoken member of the unions, it was just natural that the Zambia Congress of Trade Unions would appoint him its leader. The leadership position he held until 1991 when he was elected president of the Republic. With these words, Frederick Chiluba demonstrated to Zambians that he had not been dented by Kaunda’s corruption and therefore was ready to lead the Third Republic. In 1990, choosing a leader for the MMD was not an easy feat. But all sections of the MMD united around Frederick Chiluba. Even many academics in the movement acknowledged the intelligence and brilliance of Chiluba. Chiluba acquired this brilliance, neither in the walls of the classroom nor in the decors of laboratories but rather on the street. It is this courage, this education, and this street wisdom that made Frederick Chiluba fit to lead Zambia’s new political party. For Chiluba, three months in power he addressed a prayer meeting at State House where he renounced corruption and witchcraft and declared Zambia as a Christian nation. This 1991 declaration of Zambia as a Christian nation is perhaps one of the most far-reaching decisions that would long linger in history. Chiluba was a fighter for worker’s rights as a union leader. He was incorruptible. He refused several of Kaunda’s overtures at corruption. He stood for principles. But history will ponder when he started entertaining excesses. The fact that, after his presidency in 2001, he was found to have had hundreds and hundreds of custom-made suits, shoes, and underwear stand contrary to a Chiluba of the 1980s. In death, Zambia should continue to reflect on what may have gone wrong and on how a champion of the poor became so excessive. If Chiluba defined himself as a political engineer, this was true in practice as it was in theory. A man who failed A’ Levels could still make it in academia. It was Warwick University that saw the potential in Frederick Chiluba and gave him a chance to enroll for a Master of Philosophy Degree. In his dissertation entitled “Democracy: The Challenge of Change” Chiluba explained the political theory and committed himself to leave the presidency after he had served 2 terms. He was critical of the “President for Life” syndrome. But a few years before his second term was to expire, it appeared that he too was falling prey to the African disease and a Third Term started to infect a few of his close associates including his party secretary Michael Chilufya Sata. 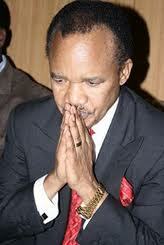 To his credit, however, Chiluba kept his word and left office after ten years. 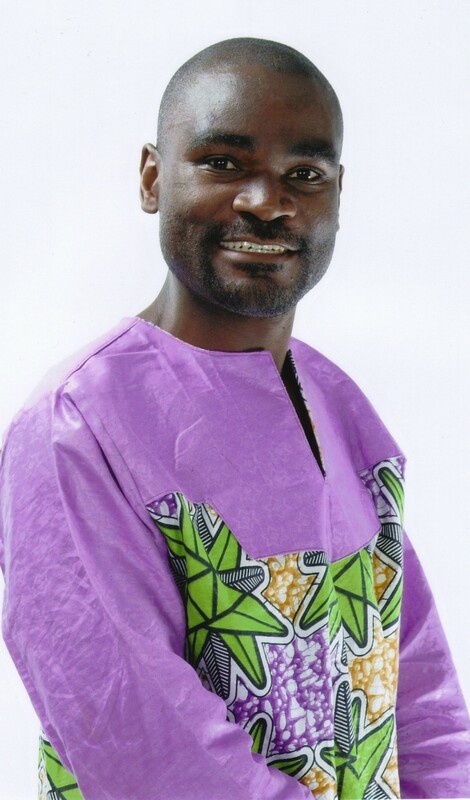 His political geniuses led him to sidestep his popular former vice-presidents Godfrey Miyanda, Christon Tembo, and national secretary Sata to appoint a political nemesis Levy Mwanawasa as his successor. This decision would haunt him for years to come. The Fall of a Democrat? Chiluba, a 1980s champion of workers’ rights and a 1990s champion of liberal democracy was under the Mwanawasa administration answering charges of theft. His six-year trial is as much part of his legacy as his other years. No doubt that some Zambians will remember Frederick Jacob Titus Chiluba for the charges of corruption he faced more than for the good things he did while in office. The pain of those charges and the embarrassment they brought against his personal integrity has been discussed by many. Chiluba’s only redemption came in 2008, after the death of President Levy Mwanawasa. Mwanawasa’s successor, Rupiah Banda refused to call Chiluba a thief such that when the courts of law acquitted Chiluba of theft, Banda called him “a damn good president.” The Post Newspapers felt insulted by Banda’s words and continued to call Chiluba all sorts of names. In death, however, Zambians should put their political differences aside and unite to mourn the passing of an extraordinary man. A diminutive man who walked among us with extraordinary courage: Frederick Jacob Titus Chiluba. one little item we should put in perspective. though chiluba contributed greatly to the dawning of the third republic, it is rather erroneous as most people do, to blatantly claim that it is chiluba who brought third republic democracy. people should read a book entitled “the hour has come”. in this book, you can read that there was the vanguard think tank of people like akashambatwa mbikusita lewanika, derrick chitala (now mbita chitala), dean mungomba, arthur wina (late husband to my beloved lady bo inonge wina), venon johnson mwaanga and others who started it all. it was this vanguard who started co-opting other citizens of substance, like ftj chiluba the workers’ firebrand, lpmwanawasa the fearless lawyer, simone zukas the jew and many more others to form the “a” team that made the most balanced cabinet after kk’s times. when u compare to what is happening now, u shake your head-nimanyengwe aya! what a nice piece! chiluba was an astitute political engineer, something of a machiavellian, both at the labor movement and at national politics. we heard, for example how late arthur wina was left in the corner by the clever chiluba who, when sent countrywide to organise the electoral college for the convention, organised more for himself, much to the chagrin of arthur wina. in tonga there is an idiom “muzike ulumbwa naaloboka”; meaning ‘you only appreciate how valuable a slave was to you after he has left’. his limitations aside (who doesnt have anyway), chiluba’s presidency stood tall in national unity and democratic credentials which virtues are now going down the drains. may he rest in peace! I try to give my perspective. Please give me your information. Despite all this Chiluba still remains the most popular President this Country will ever have, the people who demonised him, did very little if nothing for this Country save following and making inocent people perceived as enemies poor. Shame !!! The man opened many Zambians eyes, he stood and challenged Africas dictator and wrought Democracy to this Country and freedom of speech. FTJ Chiluba the Best President Zambia has had. One Zambia, One nation. KK. i shall always thank God for this president! FTJ is my mentor. The only president who cried and prayed in public. So touching and encouraging hearing FTJ CHILUBA declaring Zambia as a Christian nation, thanks for sharing. Good article. Kaunda had FJT locked up in the eighties before the cabinet offer. This important fact should be included in the story. Great article. It has enlightened me. I left in 1973. Before then, I watched Chiluba eloquently and fearlessly articulating issues on employee rights. I thought he was more educated than what this article has revealed. Amazing! I have just tumbled on this article. One cannot ague with these great facts put plainly. He was indeed self-made. All of us are self-made but only the successful admits this fact. Great man who went where there is no path and left a trail. Quite capturing but rather plain in the sense that most if not all facts outlined are commonly known to everybody. A good write up though.